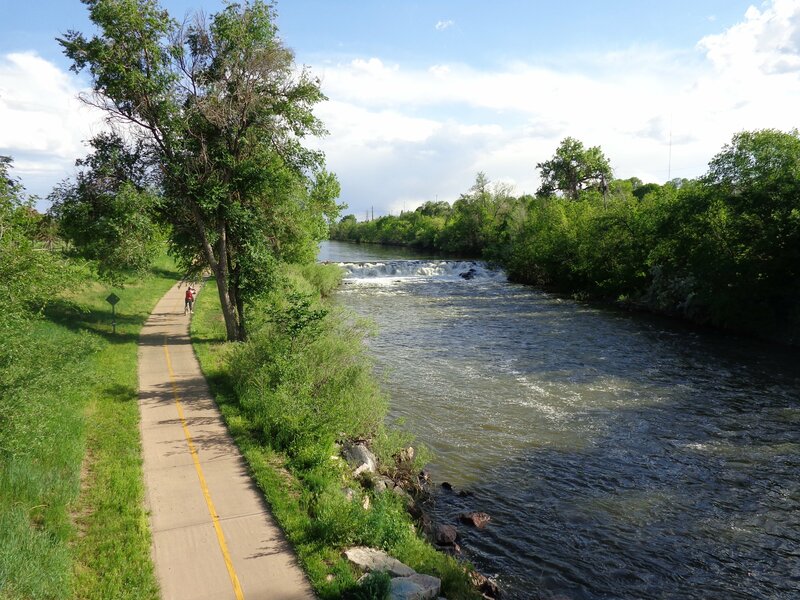 Free high resolution photo of the South Platte Bike Trail through Denver, Colorado. The South Platte trail is part of a system of multi-use bike and pedestrian trails running in and around the Denver Metropolitan area. This trail runs along the South Platte river. Photo taken at Florida Avenue looking south. Free picture for any use.